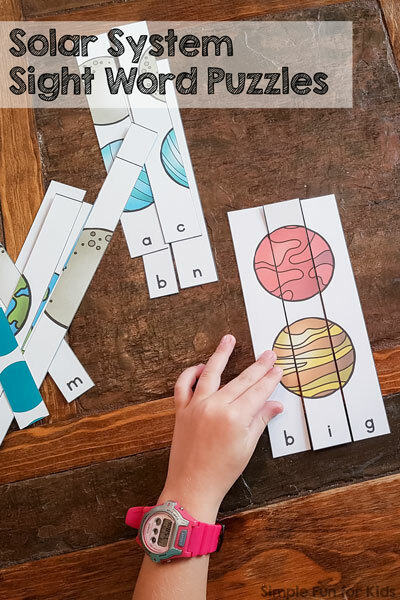 Are you looking for another interesting theme for practicing sight words? 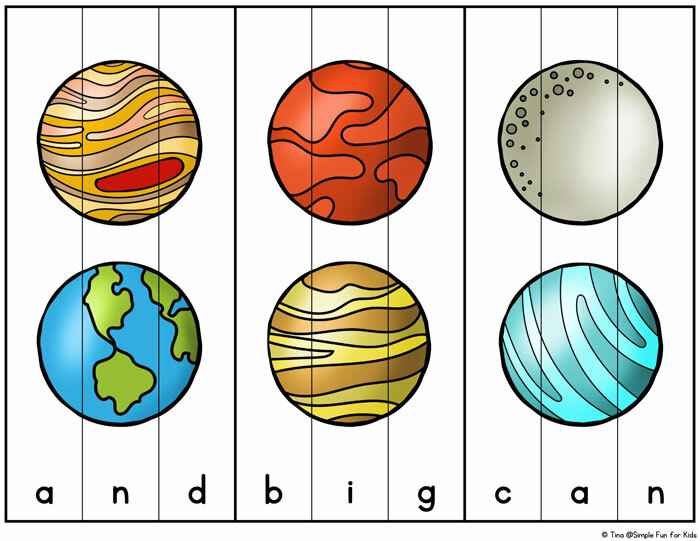 I’ve already posted about my Superhero Sight Word Puzzles and Community Helpers Sight Word Puzzles, but today, I have an outer space theme for you: Solar System Sight Word Puzzles! 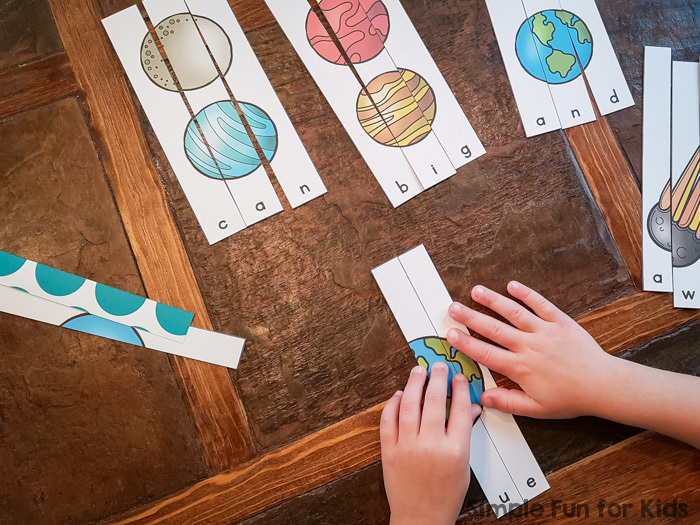 I’ve included all of the planets, the moon, the space shuttle, an astronaut, even an alien, and more to make learning and reviewing pre-primer sight words more fun! The printable includes 15 pages with 42 puzzles total: 40 pre-primer sight words and 2 blank puzzles for other words you’re working on. To match the letter counts in the list of pre-primer sight words, there are (2) 6-piece puzzles, (3) 5-piece puzzles, (12) 4-piece puzzles, (12) 3-piece puzzles, and (11) 2-piece puzzles. (Note that the one-letter sight words (“I” and “a”) are on 2-piece puzzles.) One of the blank puzzles has 5 pieces, the other has 2 pieces. Each puzzle shows a different image or combination of images. Print the page(s) you want. You can either print on heavier paper or laminate after printing. Then cut the puzzles apart at the black lines. Thicker lines separate different puzzles on one page. Your kids can do one puzzle at a time or mix and match for a greater challenge.